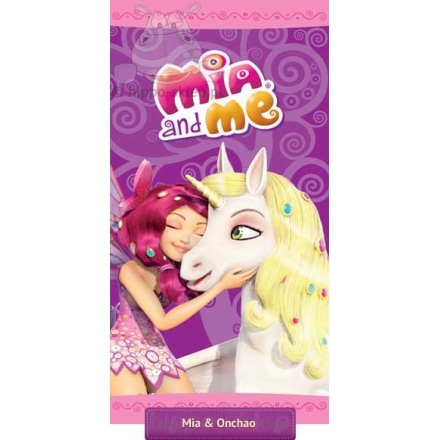 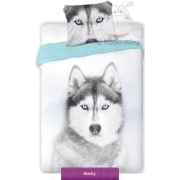 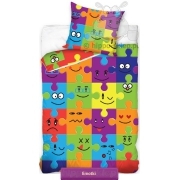 Kids towel Mia and Onchao beach and bath towel for girls in purple and pink background with a teenage girl Mia who through the magic books transferred into land of unicorns – Centopia and Onchao unicorn Mia best friends. 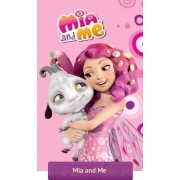 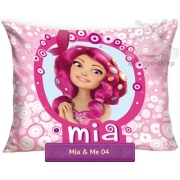 Practical towel with characters from animated series Mia and Me is made under license, with 100% cotton. 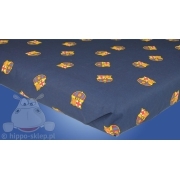 Large sized beach towel 70x140 cm, velour finish with a layer of plain underside Terry. 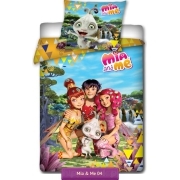 Multifunctional towel with Mia and Onchao can be applied at home after a bath, swimming pool and in the summer will be perfect for the beach. 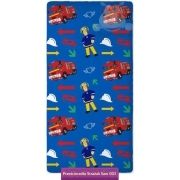 Original towels for kids under license from imprinted, are soft to the touch and retains colour after repeated washings. 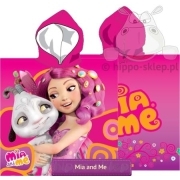 Towels with characters from fairy tales about the adventures of Mia and unicorns are a fantastic idea for a practical gift for girls who love this series.